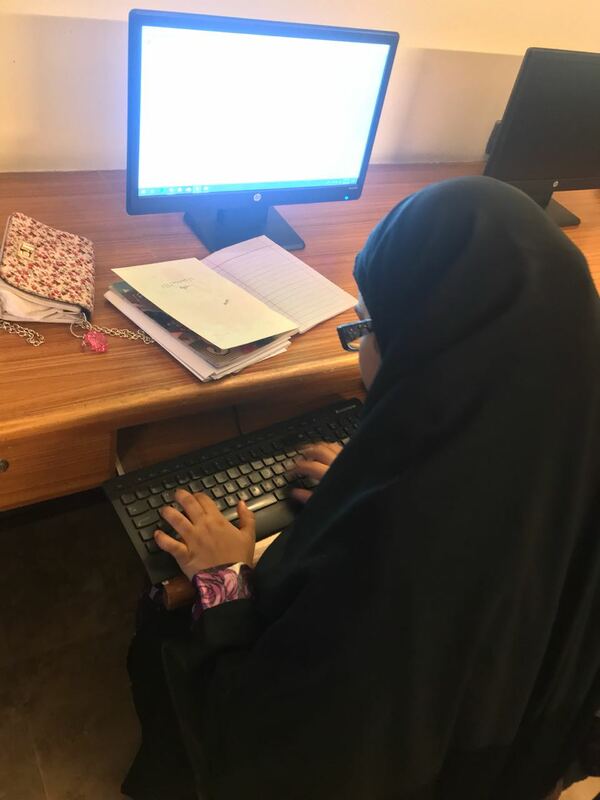 Earlier this year, Khud joined hands with Aman Sarai Foundation situated in Walton area in Lahore to teach digital skills to under privileged girls. As a first step, Khud decided to start with teaching video editing to the girls. The purpose of this course is to empower these girls with practical digital skills that can help them find respectable jobs as well as provide them with an opportunity to earn remotely. A step-by-step course plan was followed for this course starting with a detailed introduction to Adobe Premiere, an understanding of its layout with the very first assignment on how to add content in Adobe. In the next week, students learned the basics of Adobe Premiere and moved on to learning new features which included re-sizing of media clips, timeline adjustment, time duration adjustment and how to import pictures in Adobe. To make the students better adapted to the software, they were also taught the usage of shortcut keys related to Adobe Premiere. The week ended with a competition of watching a documentary and observing the different elements of the video. During mid-January, students were taken to a little more advanced level of Premiere features and were taught how to import videos and audios in the software. Moreover, they were taught how to add text to a video and how to cut and adjust videos on a timeline using different audio clips. In a similar streak, they also learnt how to attach and detach audio from videos. That week ended with students starting to work on their first project. At the end of the month, the class was introduced to the use of transition and effects in audio and video and how to adjust the same. Now that the students were well-acquainted with the basic features of Adobe Premiere, they were tasked to work on a small project video in which they applied everything they had learned during the classes so far. Students made nice little clips where they applied effects and transitions and fine-tuned them with complimentary music taken off the internet. The subsequent classes included lessons on how to add subtitles to a video, adding transitions to these subtitles and finally how to export a video once made. The principal of Aman Sarai Foundation appreciated Khud’s efforts with this project and stated “on behalf of Aman Sarai Foundation and Hafeez Ahmad Centre, I would like to thank Khud.org and Faryal for this wonderful learning experience. We would like to start thinking about the next course which is likely to attract many more applicants”. Fast forward to March 2018 where these students were asked to practice making slideshow videos on Adobe Premiere. The purpose of this practice was to make the students familiar with different types of videos one can make in the software and different techniques that applies in each one of them. Until mid-April, the students were well-equipped that they could be assigned tasks which involved putting their newly-learned skills to work. The class was divided into three groups and data for the new assignment was provided to them. Students took the next whole week to do research based work which will help them in coming up with a solid video. In the coming week, students will be making story boards with respect to their themes and will start executing these assignments. With less than six months into the course, the course has already started producing results. Some students of this course have even started working on a couple commercial projects including one for a real estate business and for a project related to Nusrat Fateh Ali Khan. All the students in the course have shown great promise and an honest passion to learn. While we are still taking baby steps with this project, we are already seeing fruition and have high hopes for this project’s success. Our followers will be updated with the progress of this class in the upcoming weeks.